Among the items for sale are 800 highly sophisticated armored vehicles that the military considers too costly to ship back home. A statement by the U.S. Embassy in Pakistan said Islamabad is interested in buying used U.S. equipment. 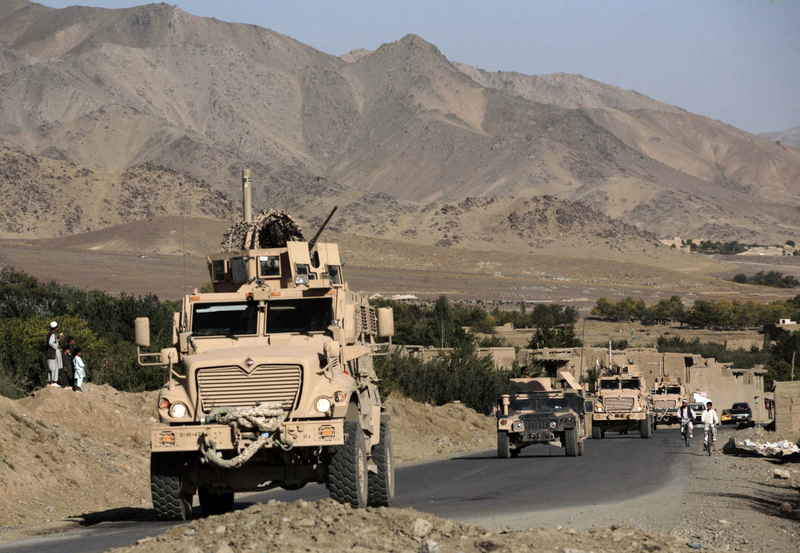 The statement said Pakistan’s request is being reviewed but any equipment it receives, including the coveted mine resistant vehicles, will not likely come from its often angry neighbor Afghanistan. Mark Wright, Department of Defense spokesman, told The Associated Press in a telephone interview that the U.S. would like to sell to “nearby countries” the equipment that is too costly to ship back home. Still it seems certain that Afghanistan’s nearest neighbor Pakistan won’t be getting any of the excess 800 MRAPs that are up for sale by the departing U.S. military, although roadside bombs have been one of the deadliest weapons used by Pakistani insurgents against an estimated 170,000 Pakistani soldiers deployed in the tribal regions that border Afghanistan and Pakistan. A statement issued on Monday by the U.S. Embassy said the U.S. is “currently reviewing” Pakistan’s request for a variety of items under what the U.S. calls its “excess defense articles” — a category that includes the 800 MRAPs in Afghanistan. He has said the last 12 years of war should not have been fought on Afghan territory, but rather in the areas where insurgents hide, a reference to Pakistan. Islamabad routinely denies Karzai’s accusations that it aids insurgents while at the same time saying its tribal areas that border Afghanistan are infested with insurgents. He said just this month the U.S. military received approval from Afghanistan’s Finance Ministry to sell off the non-lethal items to Afghan vendors. However Wright also said even non-lethal items could pose a threat and as a result some of it would be destroyed and sold to Afghans as scrap.